As Malaysia has been chosen as their final stop for the 2015 Asia Tour, we managed to come and also asked a question about their latest album, Ginga no Oto. Here are the compilation of questions being asked and answered during the presscon from MC, some medias and A9 themselves. Q: How do you feel for coming to Kuala Lumpur as your last stop in Asia Tour? 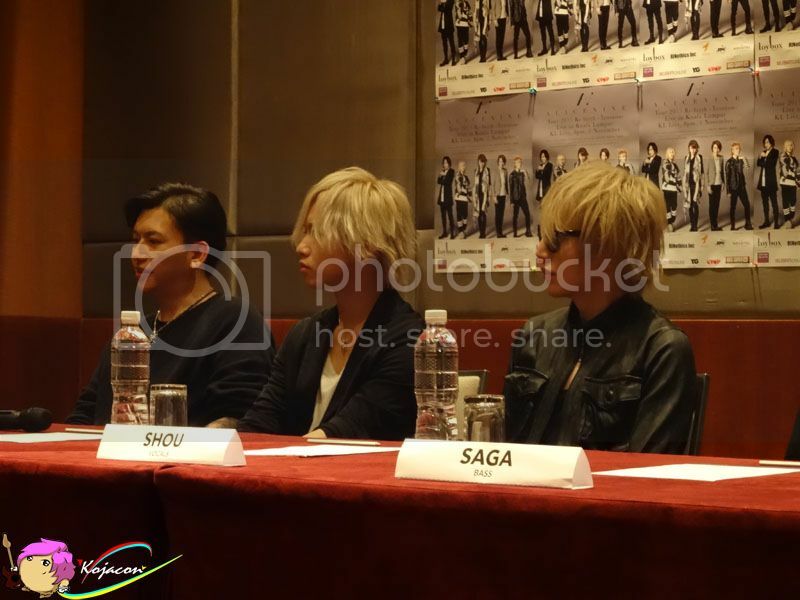 Shou: We have gone to many parts of Asia and received warmth welcome from each country. We have a fulfilling performance every single time. We are very happy to be able to close our Asia tour in Malaysia. 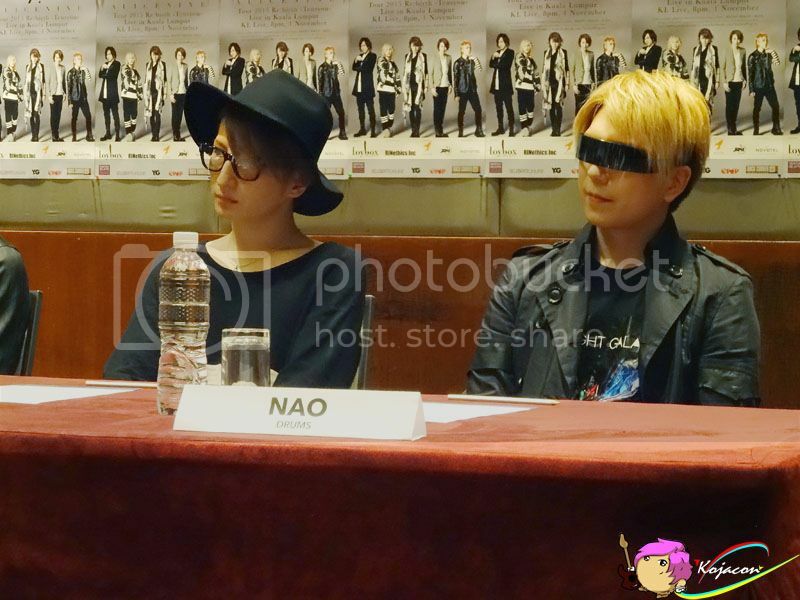 Nao: Now I’m going to speak. Don’t laugh ya!? (everyone starts laughing instead). Last year’s performance was really good so I’m happy that I can perform again in Malaysia this year. We are going to give you our best performance and our best songs in the concert! Q: Since this is your second performance in Malaysia, what can we expect in your concert tomorrow? Shou: Last year, we were saved by Malaysians’ passion and great warmth, so we hope this year will be at least the same. We were thinking to do something special for the live tomorrow. Since this is our last stop, we are going to show our best too. Q: Is there any reason why you change the name from Alice Nine to A9? Shou: We’ve been together as a band for 11 years. We also had lots of activities together in these 11 years. By changing our name to A9, it means we want to go back to square one. We also want to have a deeper relationship and stronger bond with our fans. Q: What inspired you to change the band’s name? Shou: Rather than to say that we change our band’s name, the only thing changed is the way how to pronounce our band name, so from Alice Nine to A9. It doesn’t have any specific goal or direction. The fact is that we’re still the same band,we still have the same foundation and the same members too! Regarding the change of how you call us (A9) is a way for more people can simply spread our music and influence further across the world. Q: The latest album, Ginga no Oto, certainly has different theme from the other albums. What message or concept do you want to deliver to fans when you release the album? Can you recommend us your favorite song from the album, too? 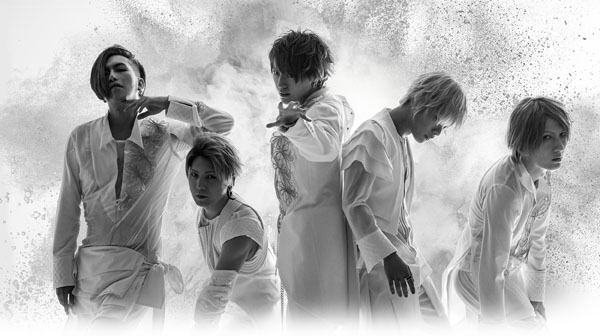 Shou: Last year, we suspended our activities for a short while and we made our fans and people around us worried. This album was released to let the fans know that we are thankful that they are waiting for us to come back. Since this album is a combination of Japanese and Western music, so my favorite song from the album is Phoenix. Tora: If I have to choose, I think my favorite one from the album is also Phoenix. I guess the message that we’ve put in to the song is the closest to what Re:birth means, that our new identity is A9. I think that song contains that kind of message. Hiroto: For me, PRAY is my choice. When we didn’t do any activity in a year, we didn’t even perform at all. During that time, PRAY is the last song to be composed. Because of this reason, PRAY will be played first in our concert. The song has lots of meaning and ideas. It has a sense of making our live as place for a reunion; like fans meet each other from different places, and also meeting with us as well in our live. Saga: I recommend the song called Ryuuseigun because during the live, we can swing the towel around. We hope in Malaysia we can swing the towel better than the other lives, so everyone please cooperate tomorrow! Nao: GINGA NO OTO MAKES REVOLUTION. JUUDAN FROM GINGA NO OTO. I EAT JAPANESE UNAGI, CANNOT TAKE IT. SHOOH SHOOH. TOMORROW’S LIVE SHOOH SHOOH. (Nao said this in English with gibberish random words that noone can translate). Q: Do you have any plan of how many songs you’re going to play in the concert? 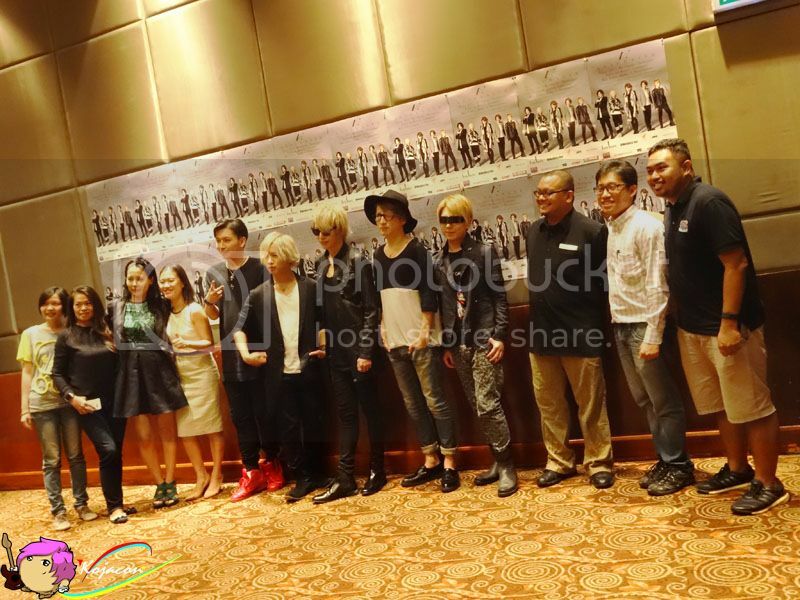 The presscon was closed with A9 photo session with some lucky fans and staffs.